Peggy Ward, Director of the Enterprise Sustainability Strategy Team ; Kimberly-Clark Corp.
Peggy Ward is Director of the Enterprise Sustainability Strategy Team at Kimberly-Clark Corp., where she leads global advancement of the company's sustainability strategy. This position places emphasis on developing, implementing and communicating Kimberly-Clark's sustainability strategy and related plans to internal and external stakeholders. 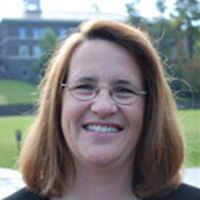 Ms. Ward joined the company in 1998 as a research scientist in the Consumer Tissue business, where she led the patent and competitive intelligence functions. She later held a project lead role in improving Kleenex Cottonelle bath tissue. She earned her bachelor's degree in Chemistry from Colgate University and a Ph.D. in Physical Chemistry from the University of Pennsylvania. She also conducted post-doctoral studies at the Université du Maine in Le Mans, France.